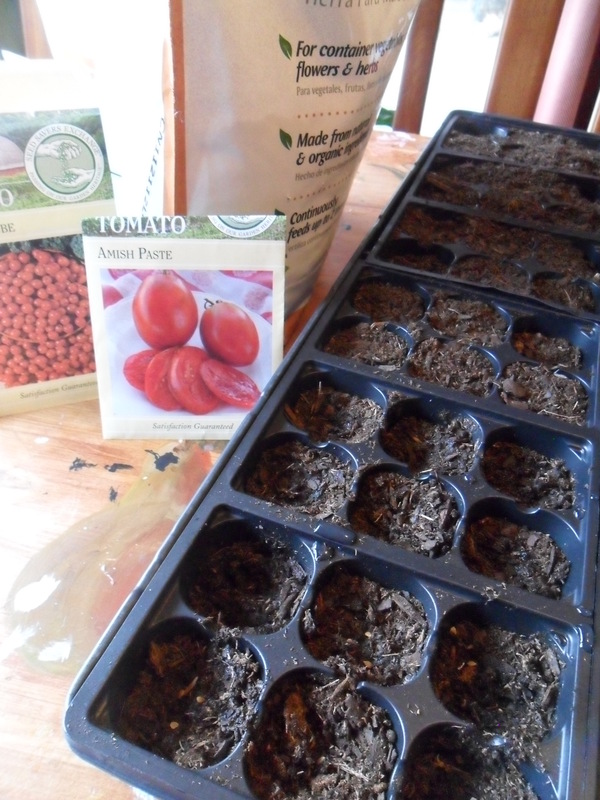 Last week, I filled out a planting schedule I found on Mother Earth News and started my two varieties of tomatoes, hot peppers, kale, and chamomile. 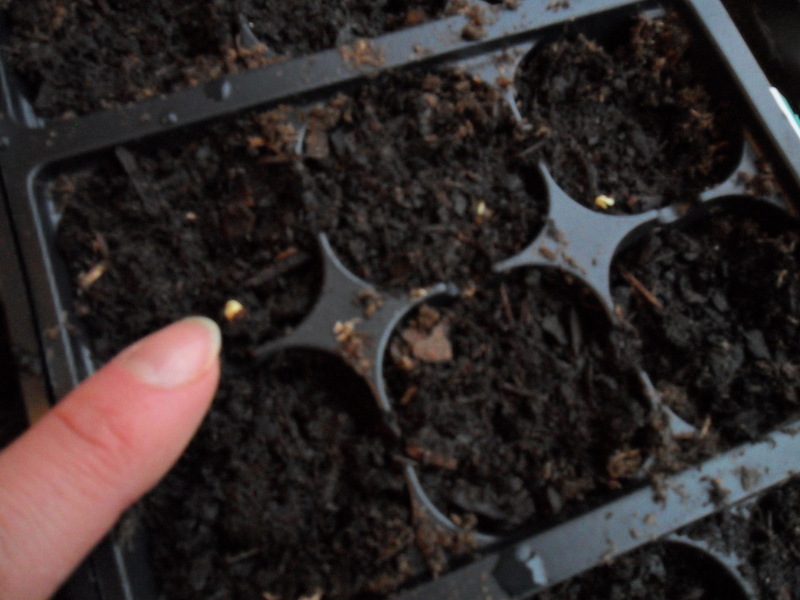 I scheduled what to start indoors and when to transplant, and what seeds to plant directly in the soil and when. I would have posted this as an example for those interested, but if you saw my plan for the garden in the previous post, you’ll know I’m not much of a blueprinter. 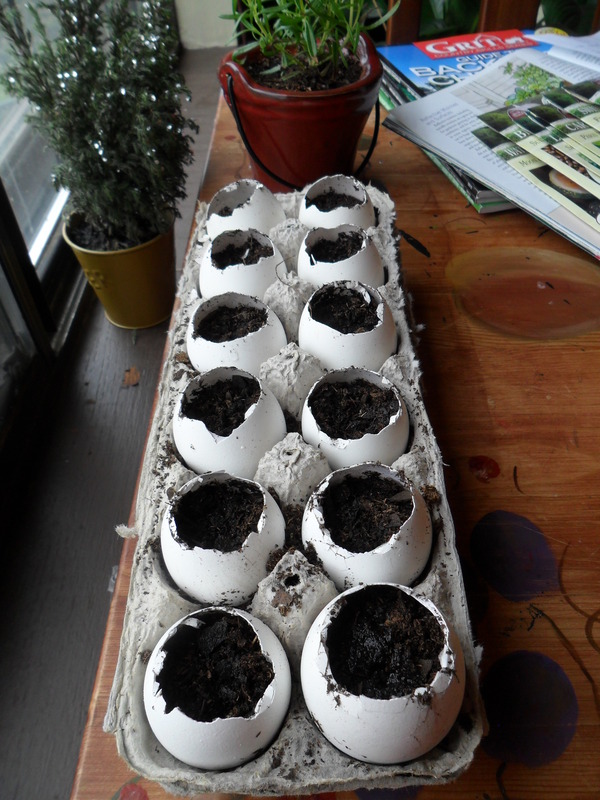 I used organic potting mix, seeds from Seed Savers Exchange, and eggshells I’ve been saving. 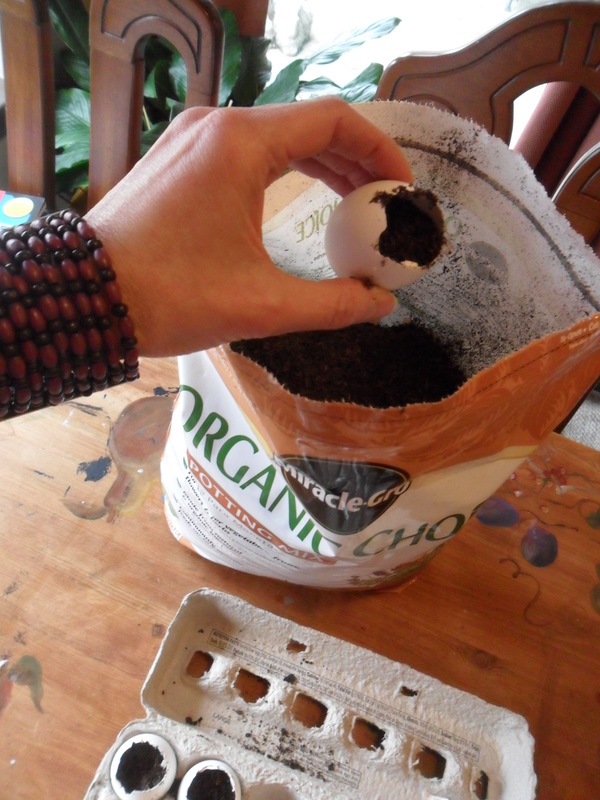 When the plants are ready to go in the ground, I’ll crack the bottom of the shells and plant them right along with the plant, since eggshells will break down and provide nourishment. 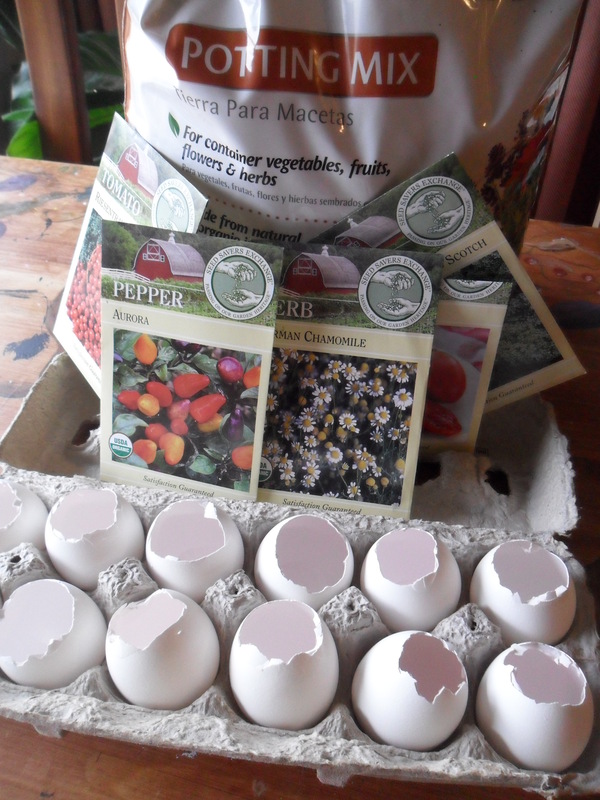 I would have planted all the seeds in eggshells, but we just don’t eat that many eggs. They do look nice sitting in the window, though. If you’ve made it this far and you aren’t really a gardener, try at least planting some herbs. 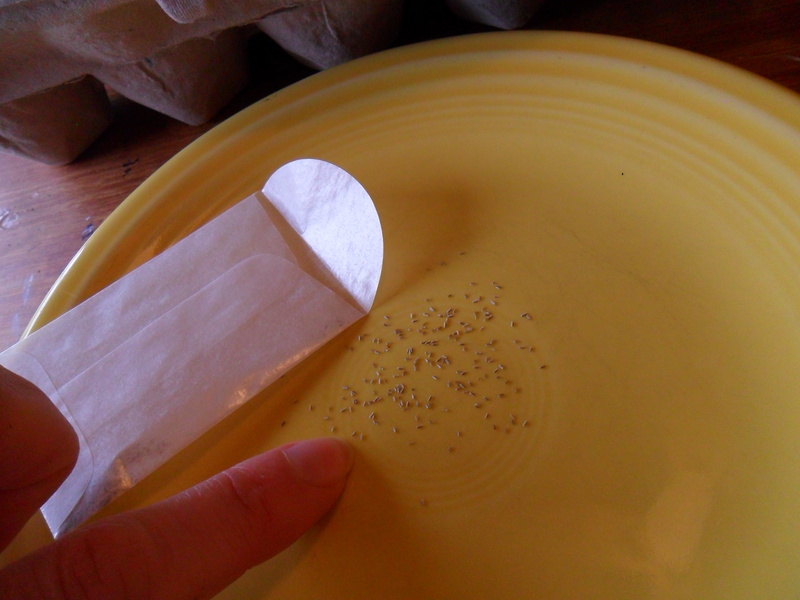 You will be amazed at how easy it is and how much it enhances your cooking and eating. And it is truly magical watching something grow. Then devouring it on top of homemade pizza. I’ve never started herbs from seeds, but thought I’d give it a shot with the chamomile, which should flower nicely and add some floral to my veggie patch. I plan to make tea with it, too. I had never seen seeds this small! It’s a miraculous process. We forget how much so, because we are used to grabbing those fat heads of plastic-wrapped lettuce off the pile at the grocery story. I took this moment to remind my 20-year-old daughter that she was once that tiny. I had to share my wonder. The rest of the seeds ended up in a not so aesthetically pleasing container. Hopefully the ground will warm up in time for transplanting. you are so cool. I miss you. Ha! Her comments are great fodder for blog posts!